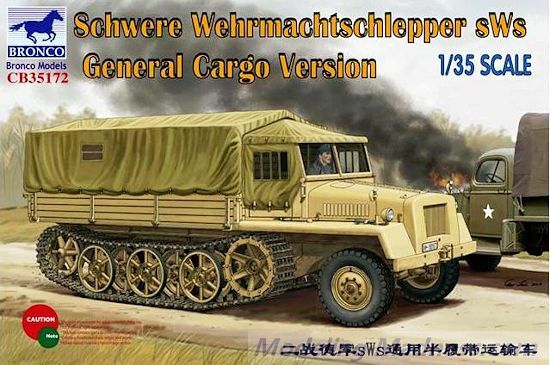 The Schwere Wehrmachtschlepper (Heavy Military Tractor), or sWS for short, was a German World War II half-track flat-bed cargo vehicle used in various roles between 1943 and 1945. The unarmored models were used as supply vehicles and as tractors to haul things. The semi-armored version could mount a medium anti-aircraft gun while the fully armored model carried a 10 barrel rocket launcher (Nebelwerfer). Less than a thousand were built before the end of the war, but production continued after the war of an improved model in the Tatra plant in Czechoslovakia. 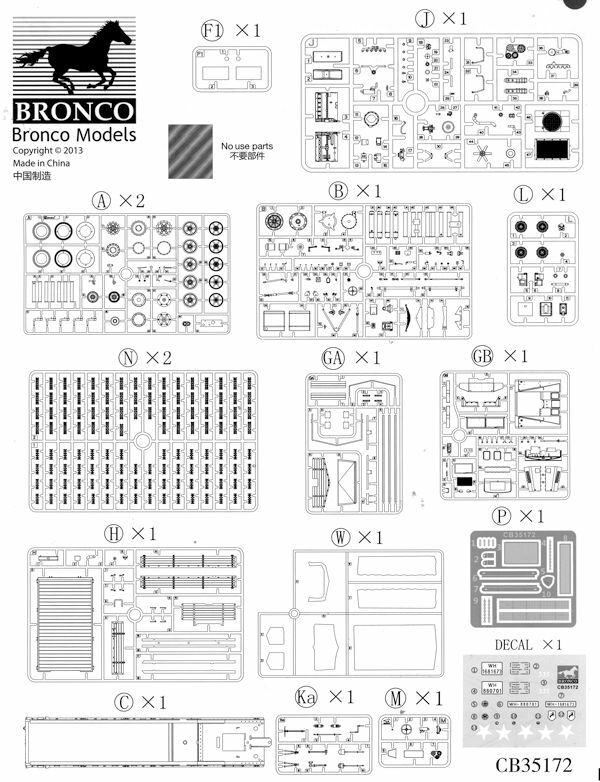 As mentioned in the note, this is basically a Great Wall Hobby kit, but since GWH and Bronco are 'cousins', then it is understandable why this reboxing is being done. Well, it isn't a total rebox as you'll see. The kit has excellent molding and is packaged with like sprues in their own polybag to prevent damage during shipment. The tan plastic is devoid of any molding glitches I could see. The kit is quite light on photo-etch, which will please those that don't like working with it. 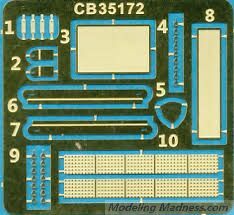 What pieces are in cluded are limited to some detail bits and pieces that would be too fine in plastic. What is really neat about this one is that it has a full rear bed covering that is made out of clear plastic. This will allow those who want to fill up the cargo compartment with troops or materiel and still have it covered, to be able to have it easily seen (assuming they don't want to paint the cover). The cargo compartment can be built without the top if you so wish. The links for the track are separate and it seems they simply snap together, but I'll bet they need to be glued to stay that way. Instructions are very well done with 18 very well illustrated construction steps. Color information is provided during the construction process. 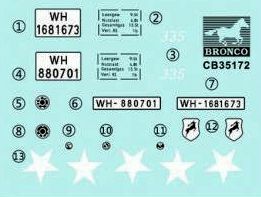 Markings are for two vehicles, both in overall panzer tan. One is with the 46th Infantry Division in 1945 while the other is a vehicle captured and used by US forces in 1945. The decal sheet is well done and offers instrument decals as well. A full color painting guide is in the booklet with a goodly selection of paint references, something I always like to see. Apparently this version was the one most used for the sWS chassis and it is great to see it in kit form. I am not sure if the standard hauler has been kitted before, but this one is the best by far. 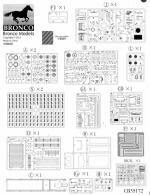 Thanks to the in-depth detail, it will be a bit of a lengthy project, but one that is well worth the effort and will produce a superlative model.